I’ve had requests for better support for AdSense channels in my SEO/AdSense WordPress themes, and since I’ve been working on a new Clickbank/AdSense version of the Talian SEO/AdSense WordPress theme I’m looking to improve as much about the theme as possible before it’s release (already added a few new features) and I’m on to custom ad channels which has always been a disappointing feature of my WordPress AdSense ready themes. Currently running the new (unreleased) Clickbank/AdSense version of Talian on this site now with only Clickbank ads on and it’s running on World of Warcraft Guides with a mix of Clickbank and AdSense ads. I generally don’t use the custom ad channels, as touched on in comments on the site I use the URL ad channels and track AdSense performance per domain. When I tested AdSense placement I had to manually add ad channels to a theme (not ideal) to test the best locations. If I can get much better AdSense ad channel support I was thinking along the lines of tracking up to 6 channels per site (all 6 ad unit locations). I’ve confirmed there is a way to use the newer Google AdSense code to pull ad channel IDs (related to the newer Google Ad Slots setting), although I’ve not tested it in detail (only confirmed it works for basic tracking not the new ad placement targeting feature which I’d really like to use with my themes). My current plan is to give customers the ability to optionally include up to 6 custom AdSense ad channel IDs into the Talian theme via the adsense.php file. Each channel would track one ad unit location, so one for the floating content ad in the main content of every page, one for the sidebar content ad unit on every page etc… So domain wide (or even multiple domain wide if the channels aren’t ad placement targeting channels) location tracking. I hope it will also allow us to use the new ad placement feature where we list within a channel where an ad is placed, what sort of content is on the page/site etc… to try to attract targeted advertisers. One of the ways ads are targeted to AdSense publisher websites is through placement targeting. Placement targeting allows AdWords advertisers to choose specific ad placements where they would like their ads to appear. An ad placement can be an entire website or a specific sub-set of ad units within that site, such as only ad units on sports pages or all ad units at the top of the page. Advertisers find ad placements in several ways, including by listing websites where they would like to advertise or by searching for placements that match the themes and topics that they would like to target. If your site is part of the AdSense network, it should automatically be visible to advertisers as an available ad placement when they search for themes or topics related to the content of your site. You can also define your own ad placements using specific sub-sets of ad units on your site. Since an AdSense theme designed for anyone to use just by changing the Google AdSense Publisher ID has to use the old Google AdSense legacy code (with the new code you have to copy and paste the entire new AdSense code, not just the publisher ID and that wouldn’t work with a theme multiple people use! ), so I don’t know if this is even possible (won’t know until I try it). What I won’t be able to achieve is page by page channel tracking, there’s no practical way to include an AdSense custom channel for a specific page and to be honest with a limited number of ad channels available (I only have 68 left and I only use URL channels!) I don’t see that as a highly useful feature. What do theme users think, feedback welcome? Great info. I am a newbie struggling to make money thru adsense. Thanks. 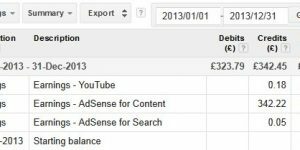 I used to try to figure out the adsense revenue by location but it was so much work I gave up and I am just tracking by url now. If this gets easier then I might try it again. Good to see you are already working on a fix. I love this AdSense plugin! Great plugin. Thank you for sharing with the community. Thanks, it helped me a lot, Great idea! recommended. The AdSense channel IDs on the site you linked to look OK to me, though as I don’t have access to your AdSense account can’t be sure they are valid. Left sidebar/menu ad unit, above the fold on a site about ABC, shows on every page of the site and very prominent position. When you’ve setup an ad like this go to the Channel page and use the ID for that ad for one of the channels in the Talian 05 theme (in this case would be the sidebar ad unit). The IDs aren’t exactly designed to be used the way I’ve used them in Talian 05 (not meant for copying and pasting just the ID :-)), but it works. As these are the numbers you’ve used on the site you linked to. If it’s a popular site you’ll have data in under an hour, if not you’ll have to wait for visitors. You can use the ca-pub-xxxxx or pub-xxxxx version of the publisher ID. the ca- version is for international AdSense users, though both work if you aren’t from the US (I’m from the UK and always use the pub- version). I’ve no idea if the ca-pub- version works for those from the US, pub- works for everyone so the one I recommend. Is there a way in adsense to force just contexual ads? AdSense ads are all supposed to be contextual ads: related to the content of the page the ad is shown on. That doesn’t mean you’ll agree all the ads are related to the content, but Google AdSense isn’t randomly showing ads. Exception to this is on a site that’s just had AdSense ads added to and where you are seeing Public Service ads (charity ads). Give it time and it normally gets better. You can add code to your site to suggest to Goggle AdSense which content of your page to use as the basis for ads: see Targeting AdSense Ads to Make More Money. 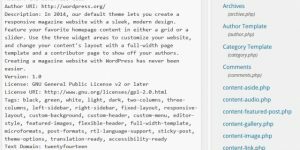 Note to my theme users, this code is built into the themes. You can also write your content to target keywords you’d like ads for. If you want ads related to finance for example and never mention money, finance and similar keywords on the page don’t expect AdSense ads related to finance.